Even before the county’s wine was making news, the rolling landscape and mountain views were a draw at Naked Mountain Winery, Three Fox Vineyards, and, more recently, Barrel Oak Winery. 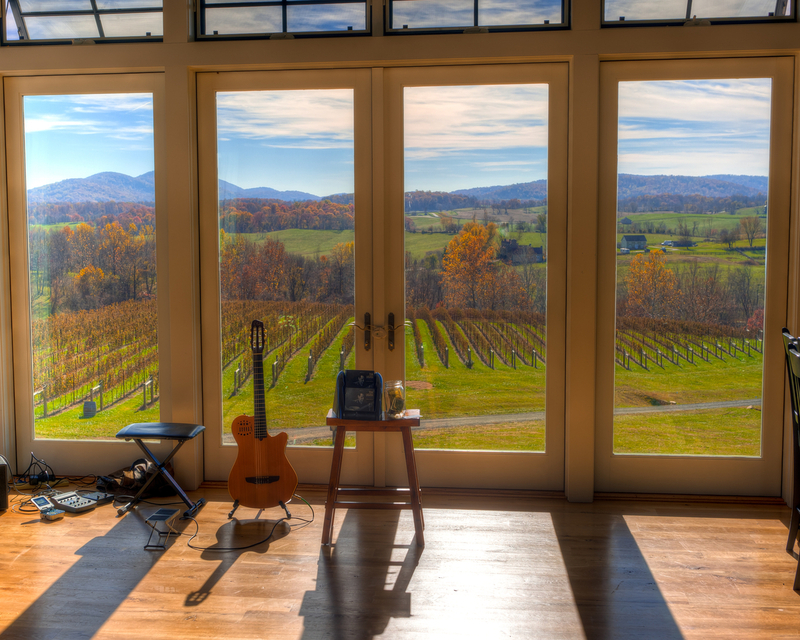 New arrivals like Blue Mountain Vineyards and Morais Vineyards introduced imposing architecture on wide-open acres, juxtaposed with the warm and cozy tasting rooms of Rogers Ford Winery and Upperville’s The Local Taste (tasting room for Slater Run Vineyard). 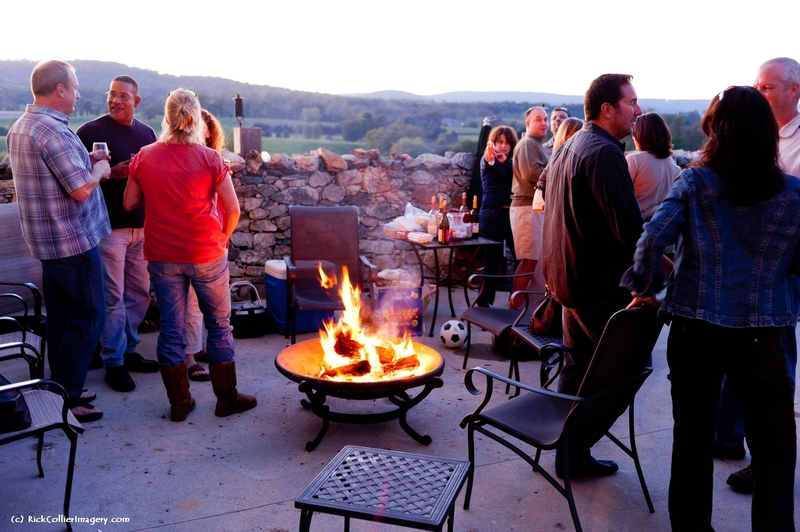 Visitors crowd the patio, clustered around blazing fire pits during the annual harvest party at Barrel Oak Winery. On Friday afternoon, head out Route 66 to Delaplane. You’ll know you’ve arrived when you see the towering yellow building on the hill (Barrel Oak Winery) overlooking the valley. But bypass that for now and instead start your weekend at Blue Valley Vineyard and Winery next door. The Zissios family has a history of winemaking in Greece that inspired owners John and Helen to buy this property 20 years ago. The winery opened in 2015 – their estate Sauvignon Blanc is a special treat and the views can’t be beat. Next, head to BOW – they’re open late on Fridays. Barrel Oak Winery is a center of social activity. “We didn’t want to just sell wine,” says Brian Roeder. “We wanted to create a place of community.” He and his wife Sharon, who makes the wine, have succeeded in this plan. Along with the typical varietals, you’ll find Virginia’s newest love interests, Petit Manseng, Petit Verdot, and more. Extremely dog friendly, too. For dinner, head over to Marshall. Field & Main opened to happy crowds in 2016. Owner Neil Wavra is a wine connoisseur par excellence and his skill at pairing wine and locally-sourced food is second to none. For your base of operations, check in to Airlie, a sprawling yet somehow still cozy hotel spread over 300 acres. Rooms are housed in seven outbuildings and cottages tucked into corners of the property. Bikes are provided for getting around (or you can phone for a lift to the main building and restaurant). 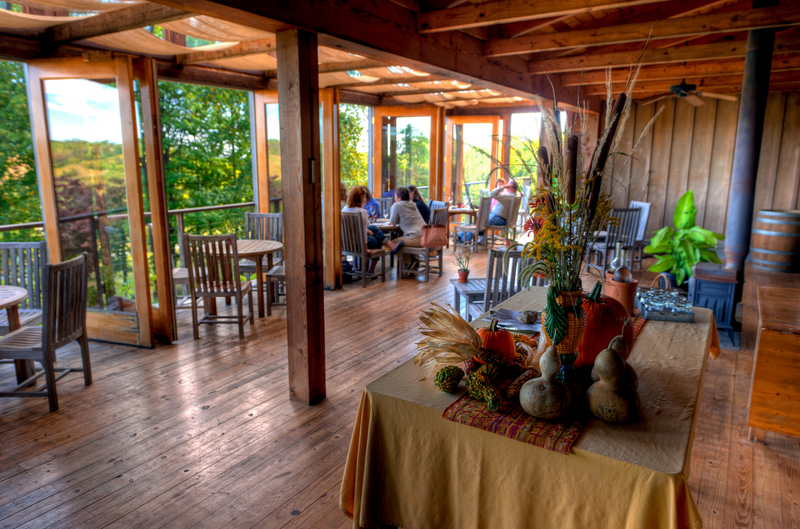 A scenic drive through winding back roads brings you to Granite Heights Winery. The farm is huge, but the production so far is small, and owners Luke and Toni are elbow-deep in every aspect. Don’t mistake their lack of size for lack of sophistication: Granite Heights has won more gold medals in a few short years than most wineries can hope to win in a decade. Continuing westward, Linden Vineyards is the property of Virginia wine founding father and guru Jim Law. Jim’s reputation in the industry is unparalleled – he is the acknowledged inspiration for a host of young winemakers throughout the Commonwealth. Consider buying a case to join Linden’s wine club. In addition to access to great wines, only club members can take a table on the members-only deck overlooking the meticulously groomed vineyards. RdV Vineyards in Delaplane burst onto the local wine scene with quite a splash. Touted as the most expensive – and arguably best-made – wines in Virginia, RDV’s Lost Mountain and Rendezvous have been praised by no less than British wine maven Jancis Robinson. RdV is by appointment only ($65/person) and includes a tour of the impressive Euro-styled cave and a wine tasting with charcuterie pairings. This aging cellar is quite simply world-class. In handing out its “best of” awards for winemaking, Fauquier does things a little differently. Each year they host a gathering of wineries that are each invited to pour their best wines in various categories. The public tastes and then votes on their favorites. These are the winners for 2018.